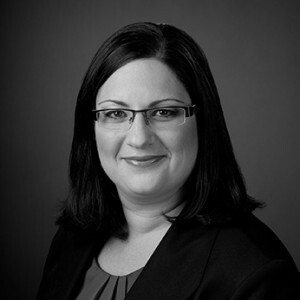 Tamara joined Capelle Kane in 2014 as an Associate. Tamara is fluently bilingual and has been authorized to represent clients before the Ministère de l'Immigration, de la Diversité et de l'Inclusion in the Province of Quebec. Tamara can be reached at tamara@capellekane.com or by calling our office at 613-230-7070. Tamara joined Capelle Kane in early 2014 as an Associate. Tamara is fluently bilingual and has been authorized to represent clients before the Ministère de l'Immigration, de la Diversité et de l’Inclusion in the Province of Quebec. Tamara is experienced in preparing Labour Market Impact Assessments (“LMIA”), Offers of Employment (IMM5802) for LMIA exempt foreign workers (including NAFTA, Intra-Company Transfers, and GATs), Express Entry, Provincial nomination, permanent residence, family class, humanitarian and compassionate, refugee and criminal rehabilitation applications. She is also experienced in preparing work permit, study permit, visitor record and Electronic Travel Authorization (“eTA”) applications. Tamara has the advantage of having lived, worked or volunteered in Japan, Thailand, Cambodia and France and has travelled extensively throughout South East Asia and Europe. As a technology startup, we actively recruit and hire individuals with very specific skill sets from around the globe. Capelle Kane has shown deep expertise in immigration practices while seamlessly helping both our team and our candidates through the immigration process. Betsy and Tamara are knowledgeable and resourceful guides who deliver favourable results. We had tried several other immigration lawyers before we came to Capelle Kane. In contrast to those who offer free consultations, we valued Capelle Kane's focus and clarity. For the first time we felt that a lawyer was listening to us and truly appreciating our individual circumstances. We have absolutely no hesitation in unreservedly recommending Capelle Kane's services.